Reference number for this case: 15-Oct-54-Latrie. Thank you for including this reference number in any correspondence with me regarding this case. 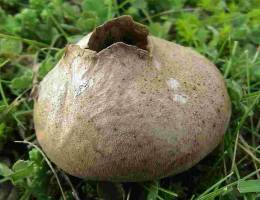 A strange mushroom made its appearance in Ronsenac where a flying "saucer" was also seen! If a power failure had not occurred Friday at the fall of night, in Ronsenac, Mr. Jean Deret, farmer with the hamlet of Latrie, would not have had the occasion to see, around 9 in the evening, whereas he was going to close (the power having come back) the switches of his stable, a strange phenomenon. Within a hundred and fifty meters approximately of the farm, which is the property of Mr. Rouchaud, director of hospital of Angouleme, Mr. Deret saw indeed at the edge of the neighboring small wood, while the dogs of the neighborhoods were barking in unison, an intense gleam, of orange color, appearing to come from an object having the shape and the approximate size of a half-barrel who appeared to oscillate from the right to the left, at ten meters approximately of the ground. To be sure that he was not the object of an hallucination, the farmer called at once his brother and his sister-in-law. "Come quickly, this has never been seen..."
Mrs. Deret did not ask further invitation and at the same time as his brother-in-law, arrived at the fence of the property right in time to see the strange gleam going down suddenly on the ground, and then all is dark again. Saturday, at the first hours of the morning, Mr. Jourdain, mayor of Ronsenac, who was hunting in the vicinity, was informed of the odd appearance and, accompanied by the Deret brothers, went to the site. But he saw only grass pressed by the cows which feed daily in this field. What can we conclude from that? Mr. Deret and his sister-in-law are of absolute good faith and their testimony is formal. But this additional version in the chapter of the flying saucers made - you can guess - the talk of Ronsenac. One cannot obviously link together the appearance of this orange "barrel" and the discovery the day before by Mr. Robert Deret, at a few twenty meters of the place where the mysterious gleam disappeared. while crossing the wood, the farmer of Latrie had indeed found there a mushroom of a form absolutely unknown in the area. 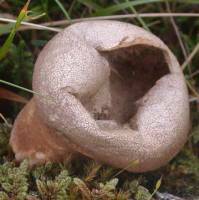 This cryptogamme of a milky white, with the form and the size of an orange (again) surmounted of a spongy cone of twenty centimetres length approximately which end resembles two lips and comprises a kind of internal membrane appearing intended to grab small insects. The interior of the ball is made up of a viscous matter releasing a strong and unpleasant odor. 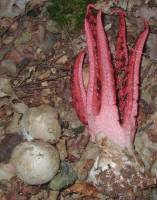 Of course, this mushroom was shown to all the inhabitants of Ronsenac and some are not far to think that it is a Martian experiment!!! [Photo caption:] M. Deret showing the place where he saw the strange luminous ball. In Ronsenac in Charente, Jean Deret and his brother are managing, in the hamlet of Latrie, the farm of Mr. Rouchaud, director of the Hospital of Angouleme. On October 15, 1954, at 09:00 p.m., following a power failure, when electricity was back, Jean Deret goes outside to close the stables' shutters. At this point in time, he sees an intense gleam at the edge of the wood located at 150 m of his farm, while the dogs of the neighborhoods barked in unison. The gleam seemed to come from an object of the shape and the size approximate of a half-barrel, which appeared to from right to left at ten meters above the ground. He called his wife and his brother who came outside to see the strange gleam, which went down towards the ground. Darkness then came back. Mr. Deret and his brother wanted to go on the premises, but in the course of the trip they judged wiser to give up. The next day, the mayor of Ronsenac, Mr. Jourdain, was informed and went on the premises accompanied by the Deret brothers to see whether there were possible traces but they did not find any. 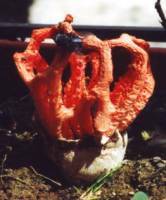 The day before, Mr. Robert Deret, brother of Jean Deret, had found at 20 m of the place of supposed landing, a mushroom of an absolutely unknown species in the area, of similar shape and size to an orange, but of a white-milky color, surmounted by a spongy cone of 20 cm approximately, which end resembled two lips and comprises a kind of internal membrane appearing intended to grab small insects. 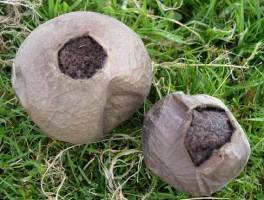 The interior of the ball was made of a viscous matter releasing a strong and unpleasant odor. 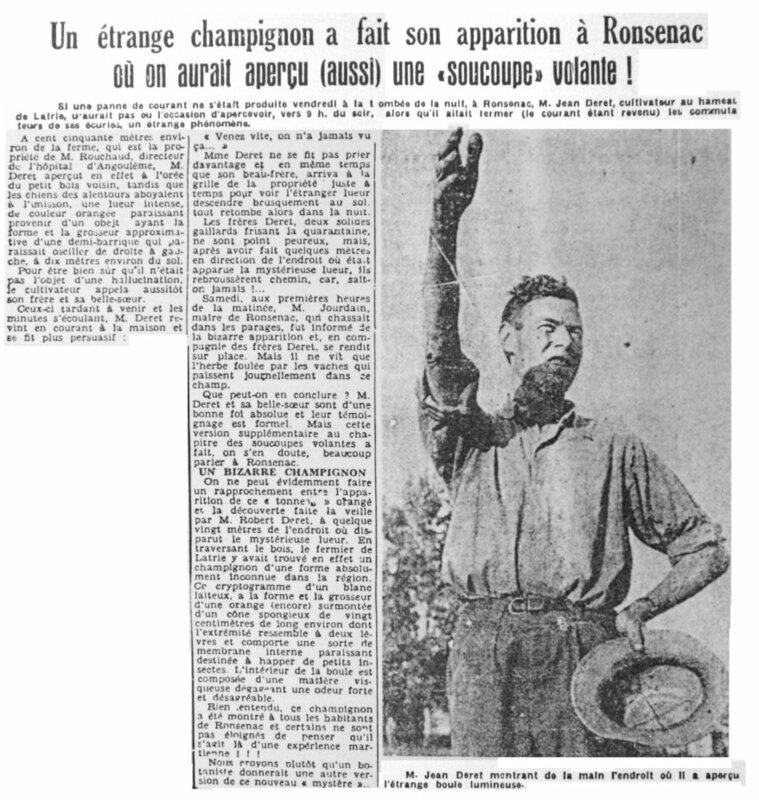 Luc Chastan indicates that in the Charente in Ronsenac on October 15, 1954 at 21:00 hours, "In the hamlet of Latrie, a witness attended a quasi-landing which seems to have caused a power failure at his farm. The dogs of the sector started to bark together during the incident." The source is indicated as my website at http://ufologie.net. 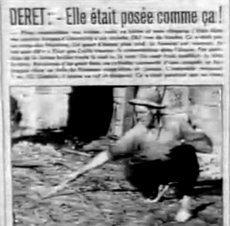 Picture of Jean Deret published in Radar magazine in 1954. 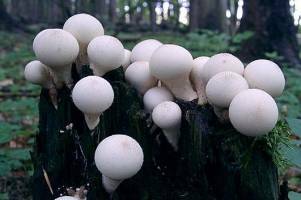 The Ronsenac area is known for its mushrooms production, it can be supposed that the Déret brothers are rightly astonished by the mushroom they found, which was probably not so common, but also probably without relationship with the phenomenon of the night. 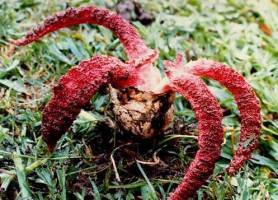 Although rare and weird mushrooms are found, I could not find a very precise match with the description given in the newspaper. Also, it remains to be checked for matching plants. [cl1] Article in the regional newspaper La Charente Libre, Angoulême, France, page 3, October 18, 1954. [js1] "Le Dossier 1954 et l'Imposture Rationaliste", book by Jean Sider, Ramuel publisher, France, pages 106,256, 1997. 0.1 Patrick Gross October 23, 2003 First published, [cl1], [js1]. 1.0 Patrick Gross April 24, 2009 Conversion from HTML to XHTML Strict. First formal version. Addition [lc1]. 1.1 Patrick Gross December 29, 2011 A search on the web revealed no new source.